We have wanted to go to the Nuremberg Christmas market for years but never thought it would happen. Since we live very far from both our families, holiday time is usually spent traveling to be with them, so booking a Europe trip right before Christmas seemed pretty unlikely. Then an unexpected work trip and some frequent flier miles made it happen. The Christmas markets, or Christkindlesmarkt in German, are a quintessential Christmas experience. And none is better than Nuremberg. Over 2 million tourists descend on this city of only 500,000 every December to take part. If it seems like tourist overload, it isn’t. Being American, we are used to the crass commercialism that often accompanies Christmas. 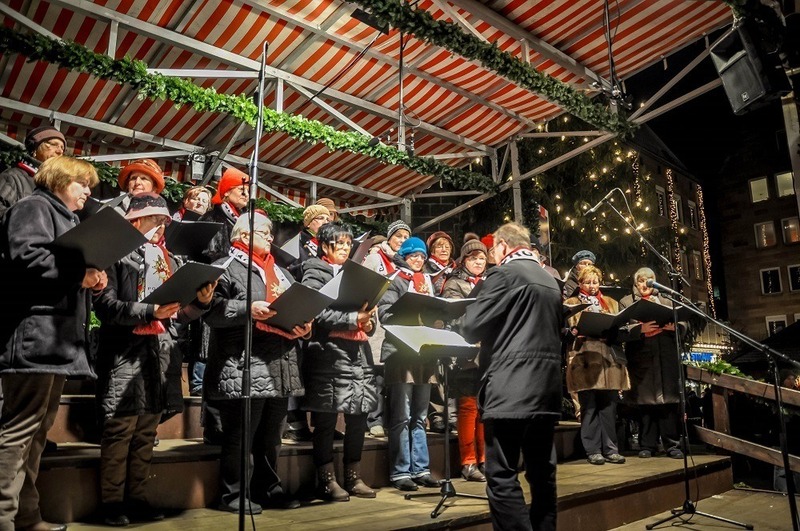 But the visit to the Nuremberg Christmas market was a charming and romantic experience – where tourists and locals commune together in the cold and embrace the season. To put it simply, Nuremberg’s Christmas markets are absolutely enchanting. 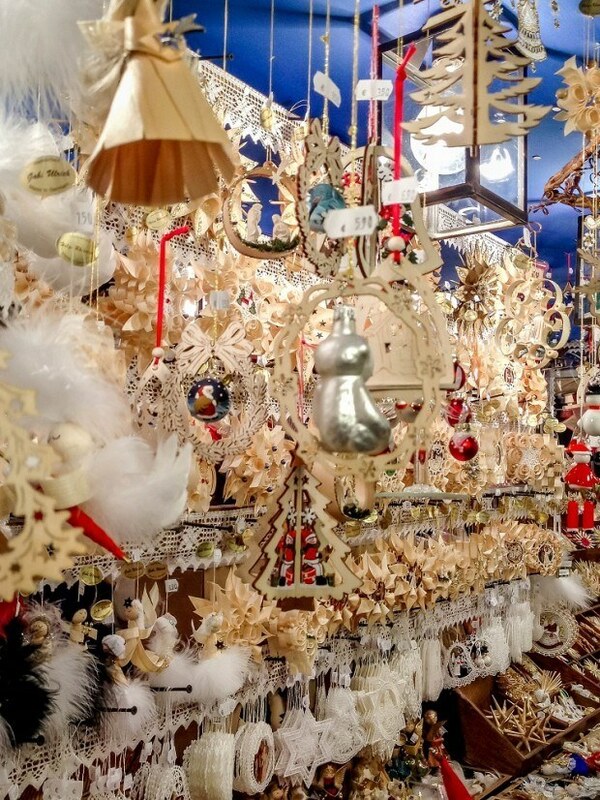 The Christkindlesmarkt has three different markets in one. There is the large market in the Main Square with long rows extending the entire length of the square. 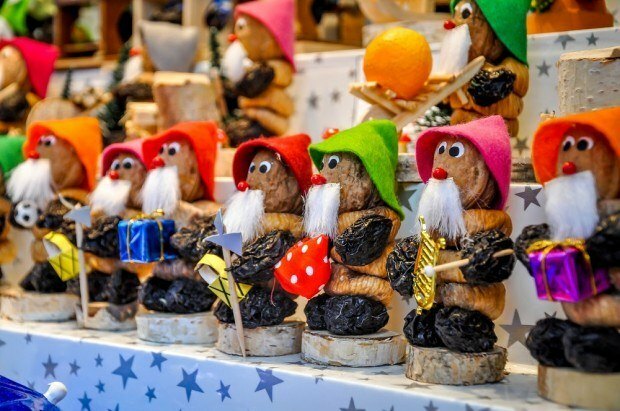 In this market, vendors sell traditional Christmas smokers – figurines that “exhale” smoke when the incense inside them is lit – and nutcrackers, along with small figurines made of fruit and nuts. And, of course, there was food and drink everywhere, which is pretty great when you’re freezing. 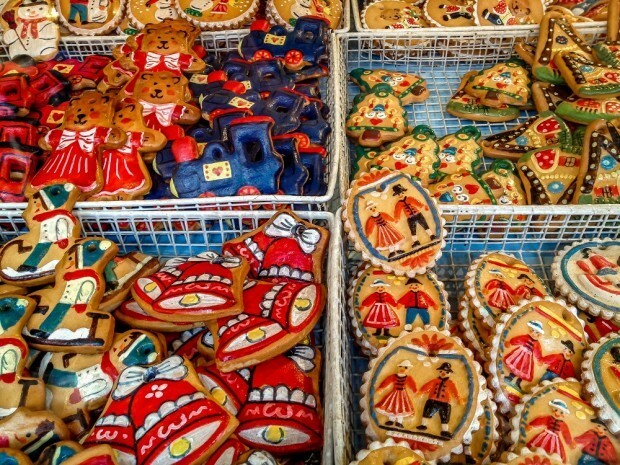 Vendors sell hot, mulled wine (gluhwein) and traditional German Christmas gingerbread called lebkuchen. Our favorite item, however, was the Nuremberger sausages (small sausages like breakfast links) that are served “Drei im Weggla,” or three in a roll, with or without mustard. When in Nuremberg, do as the Nürnbergers do. 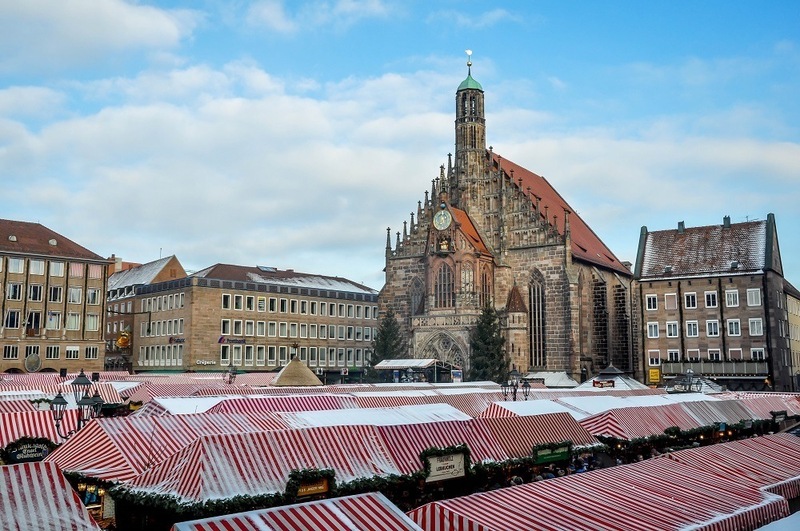 The second market in Nuremberg is the “Sister Cities” market that sells traditional items related to those towns. Participating Sister Cities included Antalya (Turkey), Atlanta (USA), Kharkiv (Ukraine), Glasgow (Scotland), Kavala (Greece), Krakow (Poland), Nice (France), Prague (Czech Republic), San Carlos (Nicaragua), Shenzhen (China) and Hadera (Isreal). Finally, there was the Children’s Market (Kinderweihnacht), which had many of the same items, but at stalls that had low windows or steps so the kids could get right up to them. There was also an old, beautifully decorated carousel that the kids could ride. 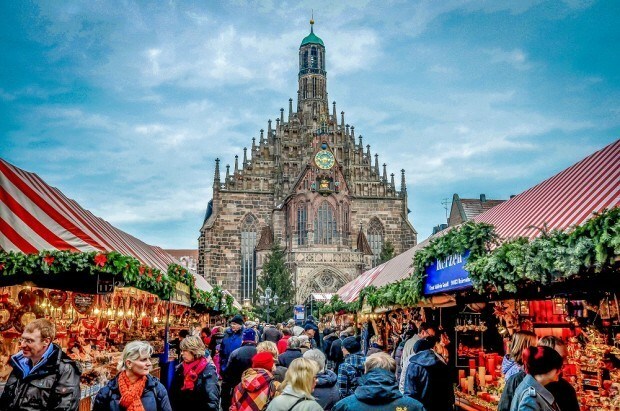 We discovered the “Christmas markets” in Chicago in several years ago – where the city of Nuremberg has a sister market. In fact, the Christkind (a kind of living Chist-like-child, in the form of a beautiful, blond-haired, blue-eyed teenage girl) who opens the Nuremberg Christmas market every year travels to Chicago the following year to open the market there. This year’s Christkind was a young woman named Franziska Handke. 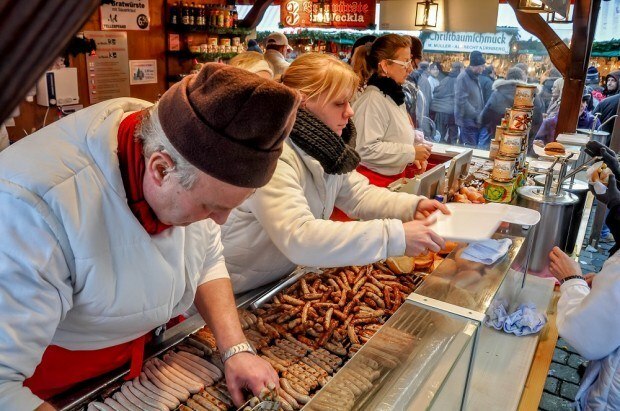 When we discovered the Chicago market, we were hooked and knew we needed to travel to Nuremberg, Germany to see the original. 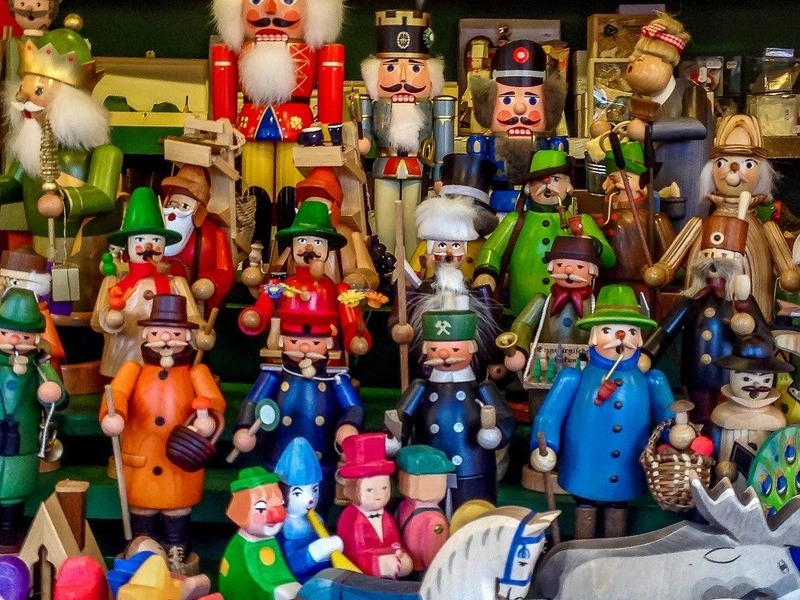 What do you think about The Magic of the Nuremberg Christmas Markets? 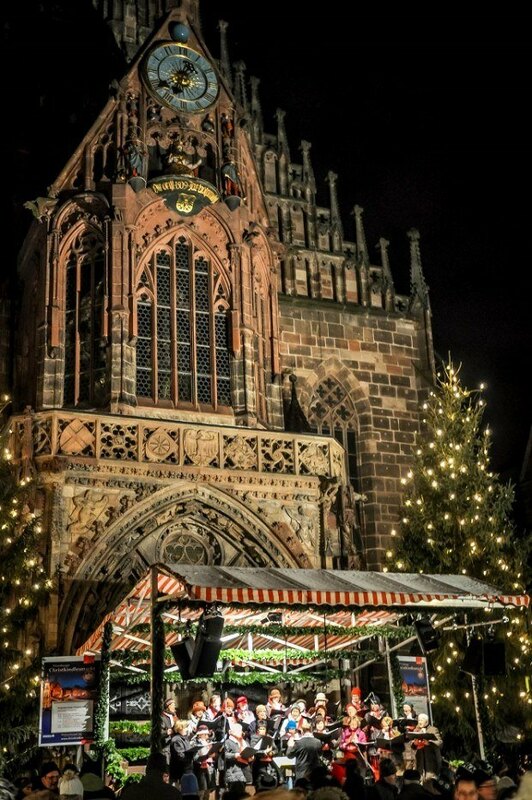 You should definitely visit Nuremberg’s Christmas Market. It’s amazing! Oh, those sausages!! and the nutcrackers! we need to go! The markets are really amazing! Hope to get to more soon some time in the next couple of years! Thanks for the information! We just booked a New Year’s river cruise from Basel to Amsterdam. We will fly into Basel 14-16 days early to do some traveling to Christmas markets and sightseeing. What markets would you recommend? Thinking of traveling to Frankfurt, Nuremberg, and Salzburg for the markets, then traveling through Switzerland (Glacier Express) and then Lake Geneva, Bern and Lucerne. Have flexibility and would love to hear of must stops/must sees in those regions. It’s highly subjective, but our must recommend markets are: Nuremberg, Salzburg, Erfurt and Munich. We’d skip Frankfurt. I _love_ Nuremberg 🙂 We so enjoyed it there in the summer, but have never been at market time.